Irving M. Copi was a philosopher and logician. 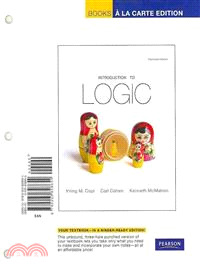 He taught at the University of Illinois the United States Air Force Academy, Princeton University, and the Georgetown University Logic Institute, before teaching logic at the University of Michigan, 1958-69, and at the University of Hawaii, 1969-90. His other works include Essentials of Logic, Informal Logic, and Symbolic Logic.